Men Who Cook 2018 Is Here! 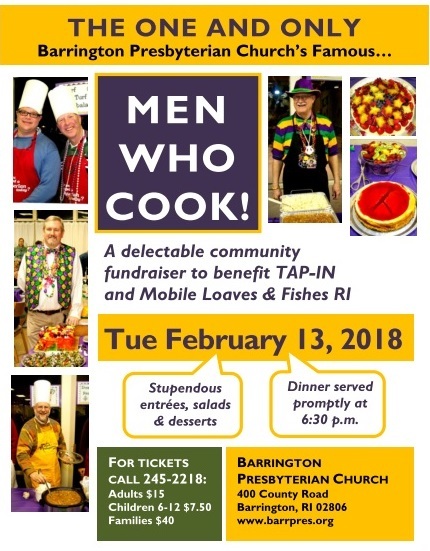 Join us for our annual community extravaganza Men Who Cook on Fat Tuesday, February 13, to celebrate Mardi Gras and enjoy a great meal together! All proceeds benefit TAP-IN and Mobile Loaves & Fishes RI. For tickets, call 245-2218.